Atlantic Highlands’ premiere results-oriented gym and fitness center. Multi-disciplinary practice focusing on producing a healthy mind and body.  Eastpointe Health & Fitness is the premier center for gym fitness classes, physical therapy, weight loss, and integrated wellness services. We offer a multidisciplinary approach that promotes health and wellness for our members from Rumson, Atlantic Highlands, and the nearby Highlands area. Our facility is much more than a place to get fit. It’s a health and wellness center that offers access to a chiropractor, health counselor, fitness trainer, and many more health professional services. We focus on the integrative health and wellness of the whole person to ensure continuous health and wellbeing. Our approach focuses on the entire person and promotes optimum health and wellness on a personalized level. Our New All-Inclusive Results-Driven Fitness Training Studio. Our chiropractor on staff uses the best time-tested techniques to make any spinal corrections that are needed for improved health and well being. We also offer physical therapy, massage, and acupuncture to help restore, renew, and rebalance you in a natural, non-invasive way. Browse our website to learn more about our health and fitness programs and to see the difference we can make in your health today! Whether it’s our state of the art health club, results driven fitness programs, or our integrated approach to whole body health, we’re committed to a healthier, happier YOU! wellness services by calling us at (732) 872-6595 today. The Memorial Day Melt-Away challenge runs from mid April to the third week of May and will get you ready for the summer! Prizes are awarded to both the winning male and the winning female who lose the largest percentage of body fat during six weeks!